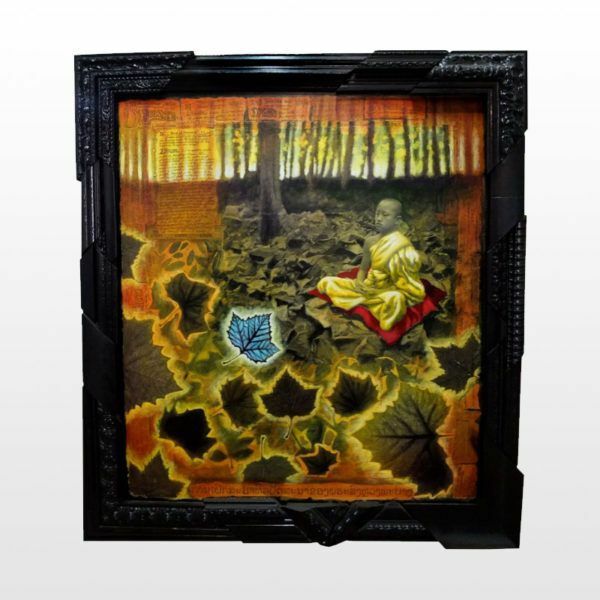 This mixed media oil painting is on wood with a build in 38×36 inch in size, hand made Mixed Frame. This painting is inspired by my travels through South East Asia. The image depicts an experience I had in Northern Thailand meditating in the woods by myself all day after meditating with the monks in a temple in Chiang Mai. Instead of painting my self I used this image of a child monk to represent my experience.